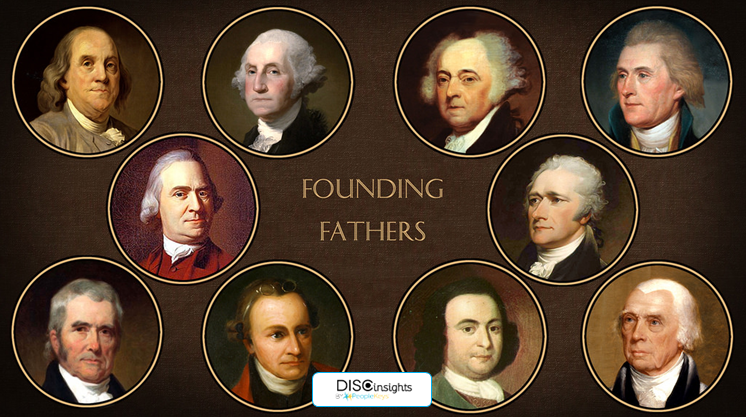 This 4th of July, we’re celebrating Independence Day with a look at the DISC personality styles of our founding fathers. Which one does your personality most closely resemble? Hamilton worked closely with George Washington, but their personalities were very different. Where Washington was rational and calm, Hamilton was hot-tempered and impulsive. True to a D personality, though, he was a brilliant and self-confident leader. He was decisive and results-driven and had no patience for fools. He spoke his mind and never shied away from a conflict. Unfortunately, his rashness and quick temper were also what ended up bringing about his early demise—His temper and ego allowed his feud with Aaron Burr to escalate into a duel, where Hamilton was ultimately shot and killed. Benjamin Franklin was the most charismatic of the founding fathers. Of all the early American patriots, he was the one that would be the most fun to travel back in time to spend the day with. He had a way with words, an affinity for public speaking, and an easygoing comfort with people. Franklin put the “I” in “Influence”— It was Franklin that was able to win support for the American Revolution from France, where he was much admired for his wit and persuasiveness. Even today, reading his Poor Richard’s Almanac gives you a clear idea of his sense of humor and larger-than-life personality. Creative, clever, and eccentric, Franklin was an I-style personality to his core. Based on his roles as a decorated General and the first President of the United States, it might be tempting to think of George Washington as a dominant D personality. In reality, though, his personality most closely resembled that of a steadfast and honor-driven S. In school, every child is taught Washington’s famous catch phrase: “I cannot tell a lie—It was I that chopped down the cherry tree.” Whether or not the cherry tree incident really happened is beside the point. True or legend, it still very accurately represents the strength of character that Washington was known for. An introvert and a man of few words, Washington was able to lead our soldiers to victory in the Revolutionary War by being a smart strategist. He was even-tempered, reasonable, and believed in the art of compromise. 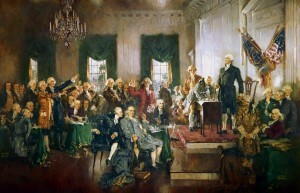 Once America was free from British rule, Washington worked tirelessly to create a stable government. He was a man of the people and the heart of the country, respected and admired by all. He was the only President to ever win every single vote cast in the Electoral College. (Twice!) He even sacrificed his own personal political interests by not running for multiple presidential terms, as he believed it was in the best interest of the country to have rotating leadership. Washington also had a keen sense of social justice, as evidenced by his final act: permanently freeing all 300 of his slaves. James Madison had a reserved, introverted public persona. Though warm and loving to his immediate family and close friends, he appeared aloof to those that didn’t know him. Clearly, Madison wasn’t strong and forceful like Hamilton, colorful and eccentric like Ben Franklin, or beloved as Washington. What he was, though, was a brilliant intellectual and one of the best, most meticulous record keepers this country has ever seen. Yes, record keeping might sound dull in theory. But really, without the notes and records Madison took during the drafting of the Declaration of Independence, the Revolutionary War, and the early days of our American government, we wouldn’t have nearly as clear of an understanding today of what happened in Philadelphia around 1776. Much of what we know about that time period is from what Madison wrote down. A true detail-oriented C, Madison took notes on everything, from the debates surrounding the first draft of the Declaration of Independence to details about the personalities and character of the founding fathers. Madison was a long-term thinker and understood the historical significance of what the founding fathers were undertaking. He understood how the future of the country needed to be shaped and devoted himself to making sure the representatives stayed focused on their objectives. Focus, perfectionism, attention to detail, and organization—Madison had an archetypal C style personality.